I love working in an academic library. Visiting classes for information literacy sessions, assisting with research, helping with APA Style, this is my niche. But every once in a while I wish I was a children’s librarian purely because of the books. Children’s books are the best. My sister and I grew up with a wide range of children’s books (many my friends have never heard of thanks to my English teacher mom and our good friends at the local independent bookstore). To this day my mom has an entire bookshelf devoted just to our children’s books that made it through the years and when visiting I love to sit and peruse the stories. Halloween is one of my favorite holidays and it brings to mind some of my favorite books to read growing up. So my favorite Halloween books were not necessarily scary but definitely helped me get into the spirit of a holiday I adore. First, who doesn’t love this series of children’s books. Second, the drawings and the stories perfectly captured the spookiness of Halloween but with an ending that was reassuring to a child like me with a highly overactive imagination. 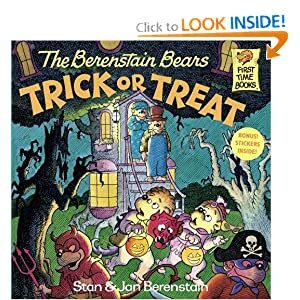 A great Halloween story that is even less spooky than The Berenstain Bears. This story also teaches the value of teamwork and sharing and I think every kid can get behind the idea of growing a huge pumpkin. 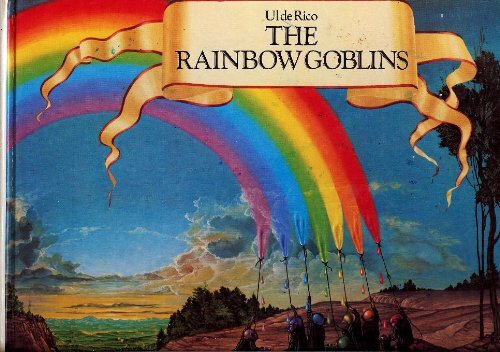 This is definitely a book most of my friends have never heard of and it was one of my absolute favorites growing up despite that fact that the goblins were pretty scary. The reason? The colors. The illustrations in this book are beyond practically anything I have ever appreciated in a kid’s book. Perfect for your scaredy cat who still loves the spirit of Halloween. Technically this is not a Halloween book but with its creepy forest walk and the giant pumpkin head it works well. Plus it has a lesson about letting your imagination run wild (who me?) and being brave. Unfortunately all my childhood books are several states over at my parent’s house. Maybe I’ll have to stop by the public library and peruse a few titles to help get me into the spirit of the month! Author’s Note: I would definitely recommend these titles for the burgeoning All Hallows Read movement. I love this idea and it remind me of how my mom always turned holidays into another reason to give us books. For example, growing up she gave my sister and I art books on Valentine’s Day instead of candy or cakes (which we already had plenty of from school and friends). Now as adults we both have a lovely collection of art books.